Here is a blank bingo card prepared using Bingo Card Printer, our bingo card creator software. We've included just 1 card, as you can print it as many times as you wish. 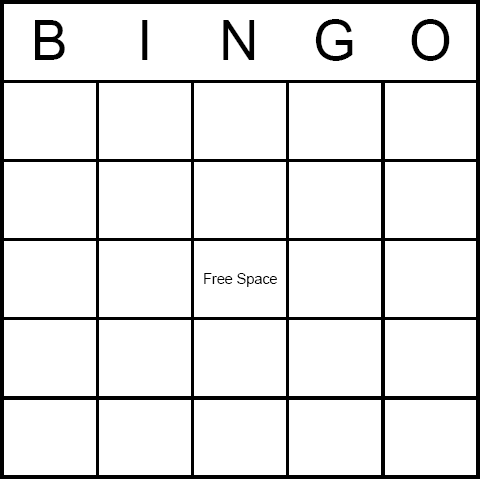 If you want to create your own custom bingo cards (filled out with text already, using colors or fonts, etc. ), then why not try out bingo card creator software? You'll be amazed how easy it is. Our bingo card creator software can generate dozens, or hundreds, of unique bingo cards, each containing a different selection of items, with the click of a mouse!